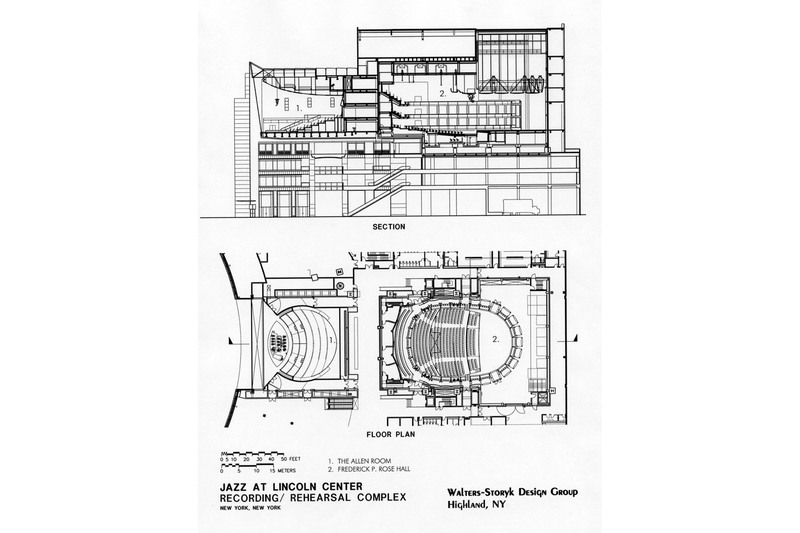 In October, 2004 when the Jazz at Lincoln Center complex opened in NYC, Artistic Director,” Wynton Marsalis, remarked, “Most concert halls were designed for symphonic music, not jazz. 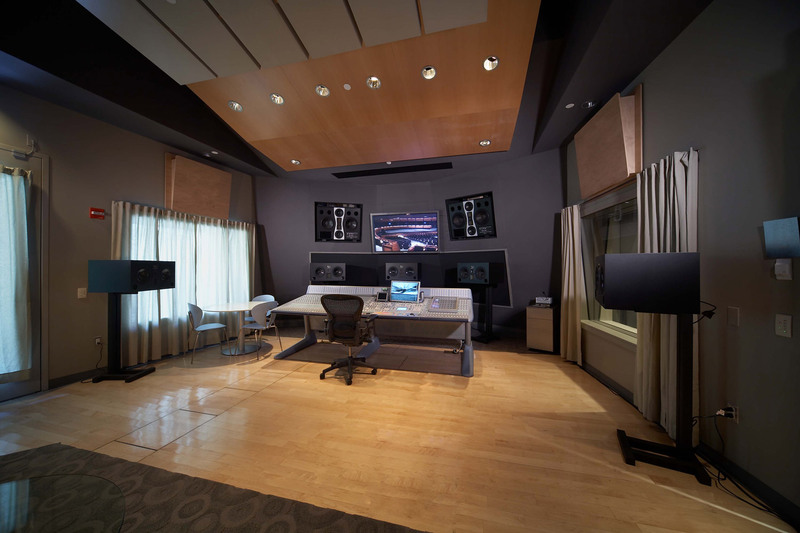 Most of the time, we play in halls that have too much echo for our music. 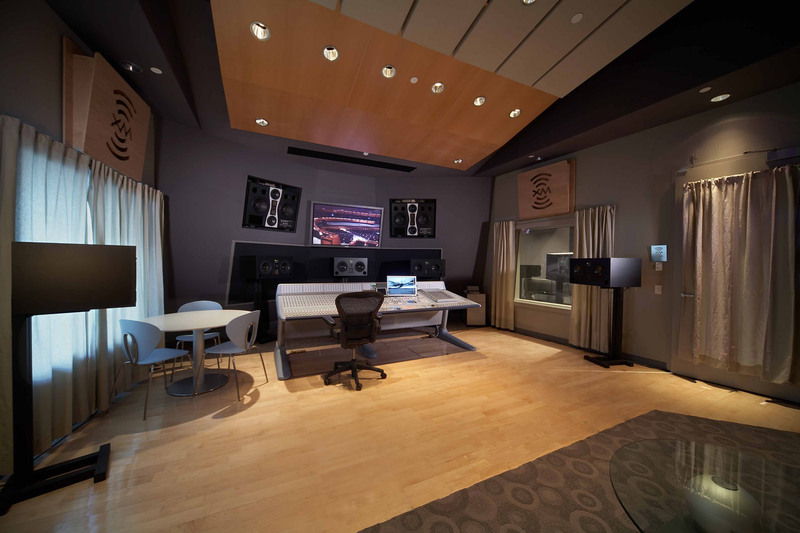 The tail of the echo is so long that it makes the music muddy. 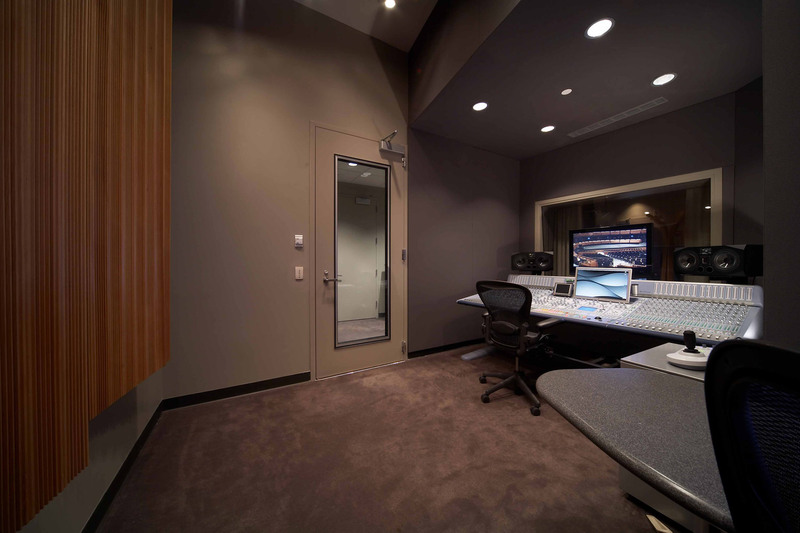 We have the drums playing, cymbals ringing, bass playing in the very low register all the time, none of which is the case in symphonic music. 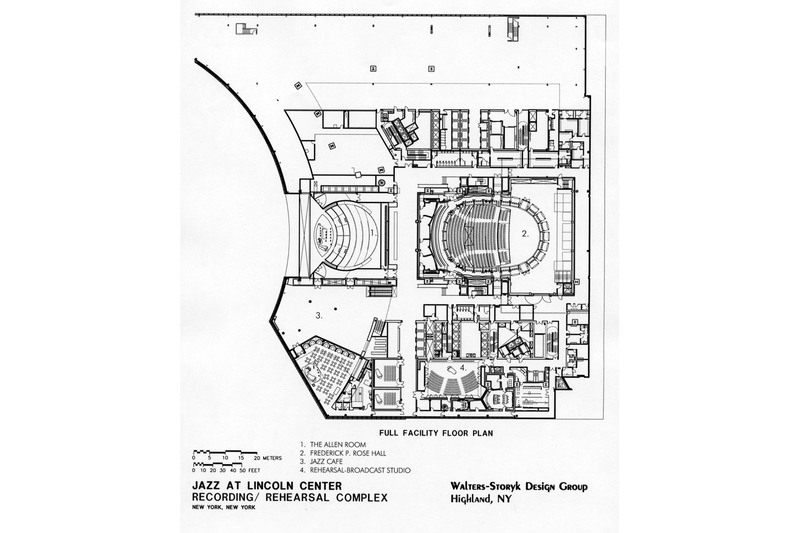 But now we have a hall where the sound is designed to present jazz at its best.” WSDG played an integral role in designing the Jazz at Lincoln Center facility, enhancing performance spaces and providing design and acoustic consultation for the entire complex. 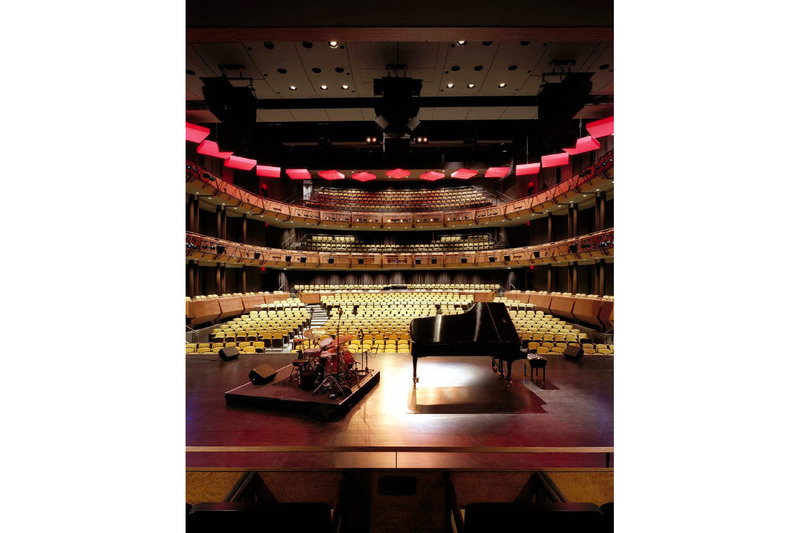 The 1,233-seat Rose Theater concert hall was created for jazz but is fully adaptable to opera, dance, theater, film and orchestral performances. 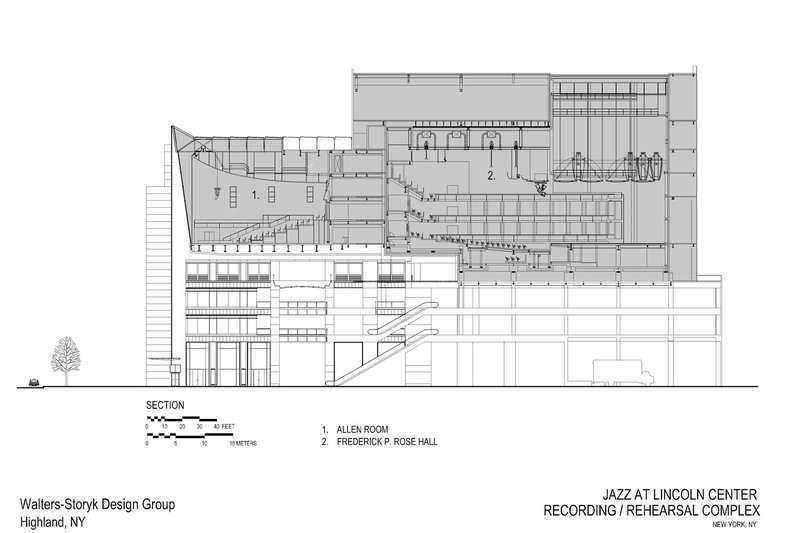 The venue is a “floating box-in-box construction” with no rigid structural connections to JALC’s other performance halls. 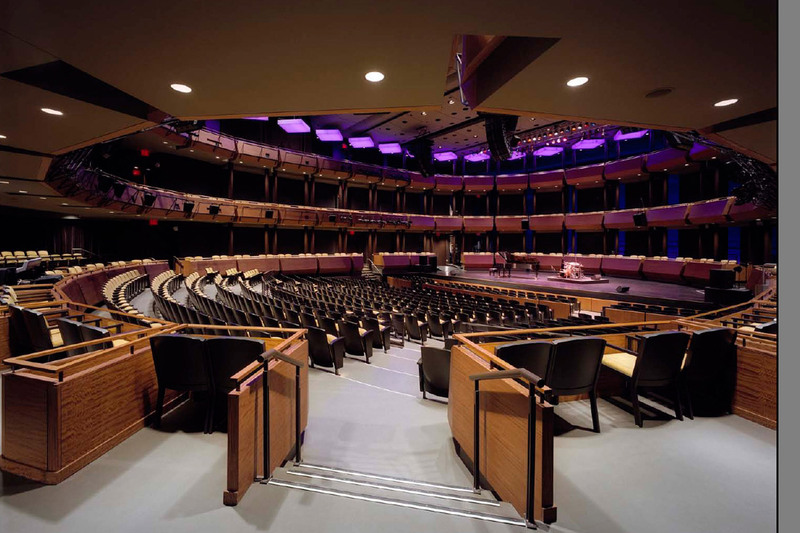 The Rose Theater sits on rubber isolation pads, designed to minimize the noise from outside creating an extremely quiet and intimate space. 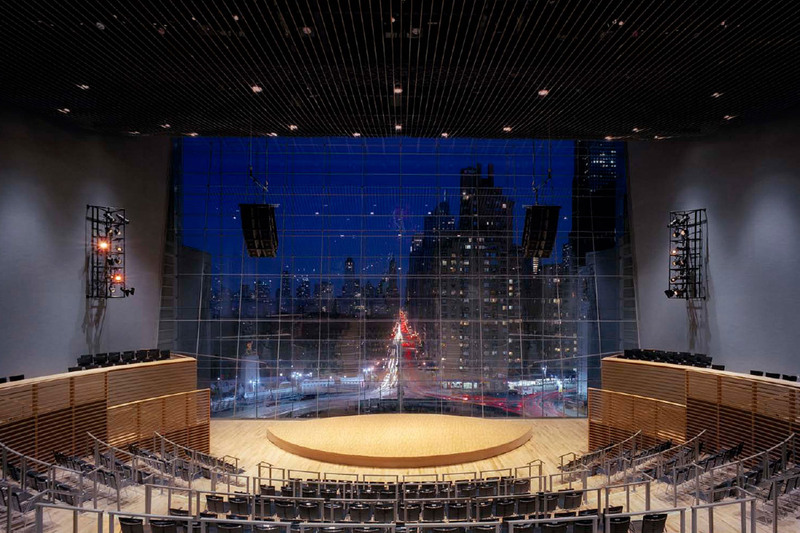 The theater was designed to achieve a noise control level of N1, which virtually eliminates the ambient noise generated by the surrounding environment. 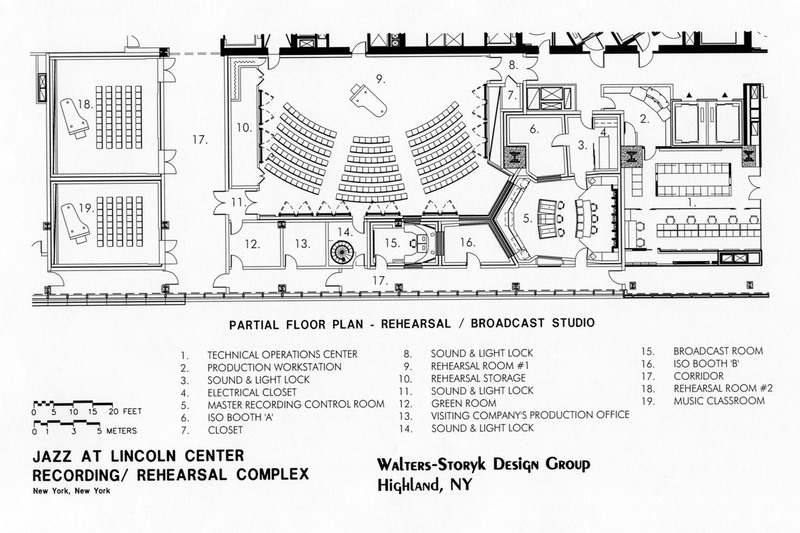 SOJ also designed a system of moveable seating towers that makes the Rose Theater adaptable to a wide range of performance styles. 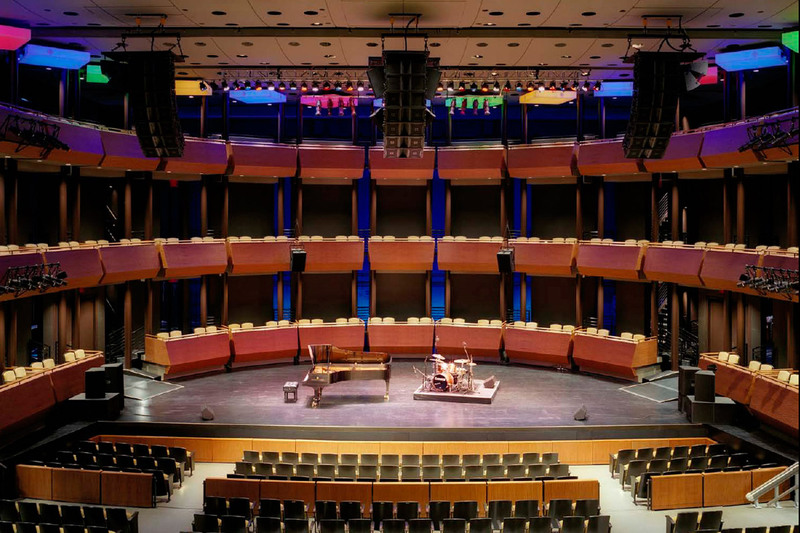 In concert mode, these towers can be positioned behind and around the musicians, serving an acoustical and visual function as well as providing audience seating for jazz concerts, symphonic and chamber recitals. 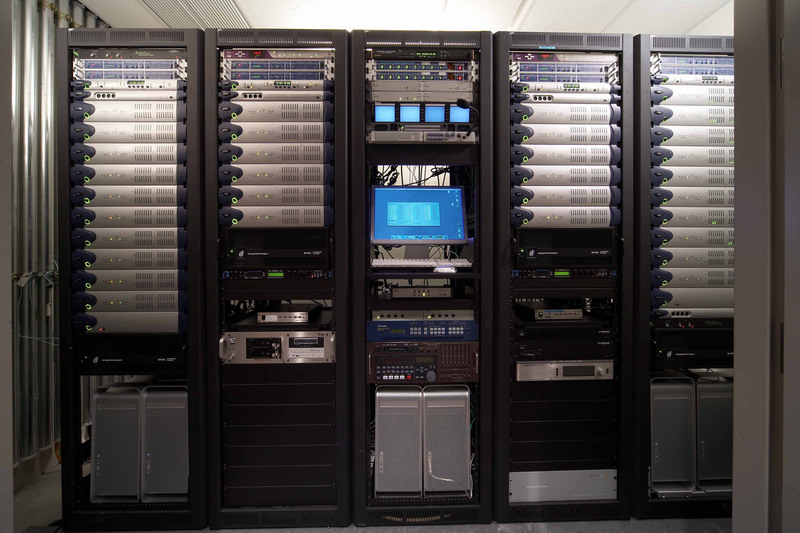 In theater mode, the towers are easily stored in an air caster system to provide a clear platform for scenic elements supporting dramatic productions, opera, ballet and modern dance. 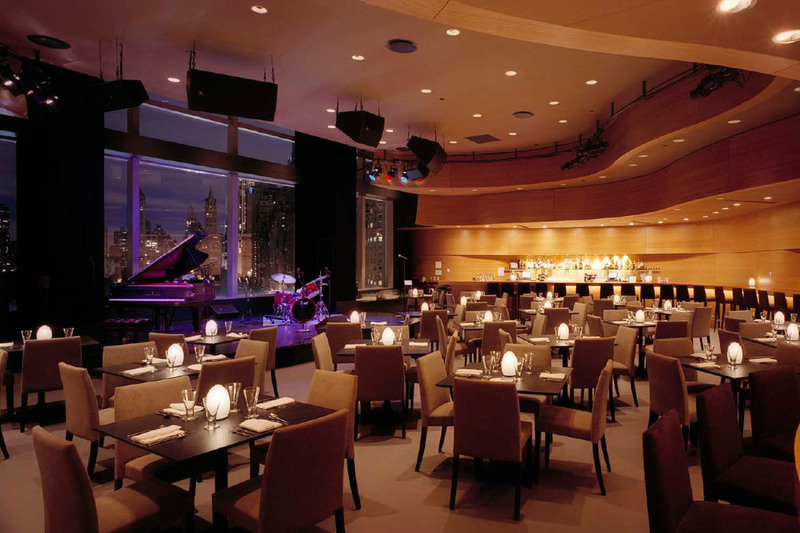 The 583-seat Allen Room, provides an informal and intimate setting with views through a 50-foot high glass wall overlooking Central Park. The power of the city view is enhanced by the walls’ ability to completely exclude the cacophony of Columbus Circle. 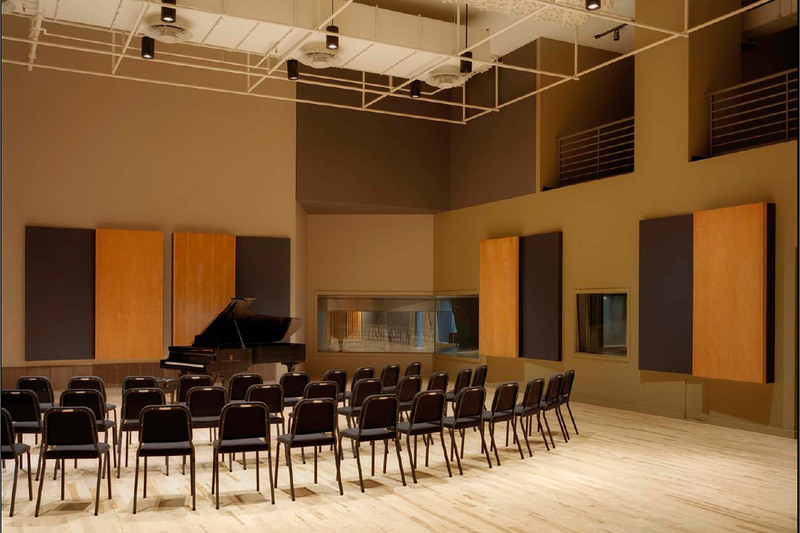 The Allen Room is remarkable not only for its spaciousness, but for its ability to convert seven separate seating levels into four to allow for greater mobility and dancing, While the outside glass wall stands at a standard 90-degree angle from the floor, the interior glass wall is angled slightly upward to reflect sound from both the atrium and the stage monitors into the ceiling. 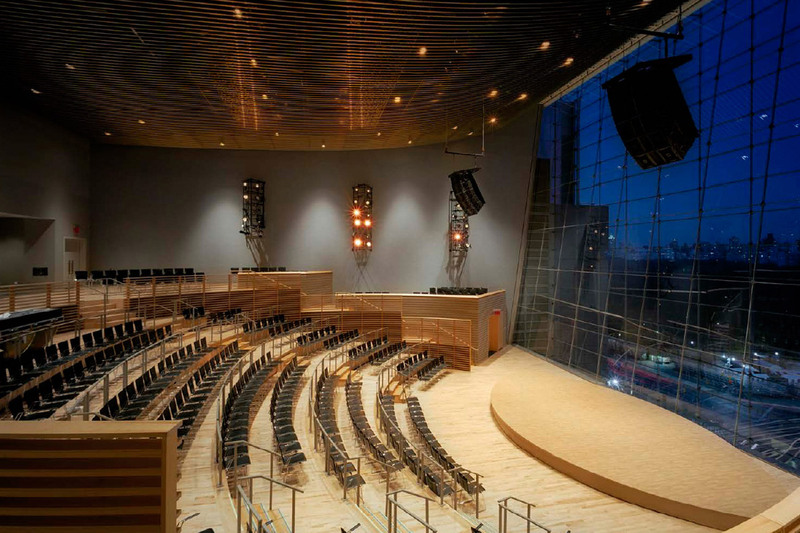 A number of acoustical treatments including panels hung from the catwalks and ceiling fine tune the room by helping diffuse and absorb sound. 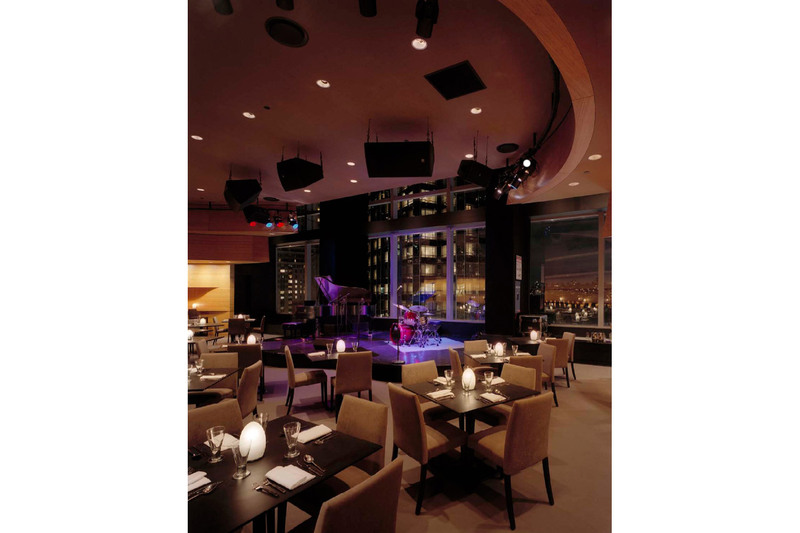 Dizzy’s Club Coca-Cola was designed as an intimate jazz club to showcase live trio, pianist and vocalist performances. 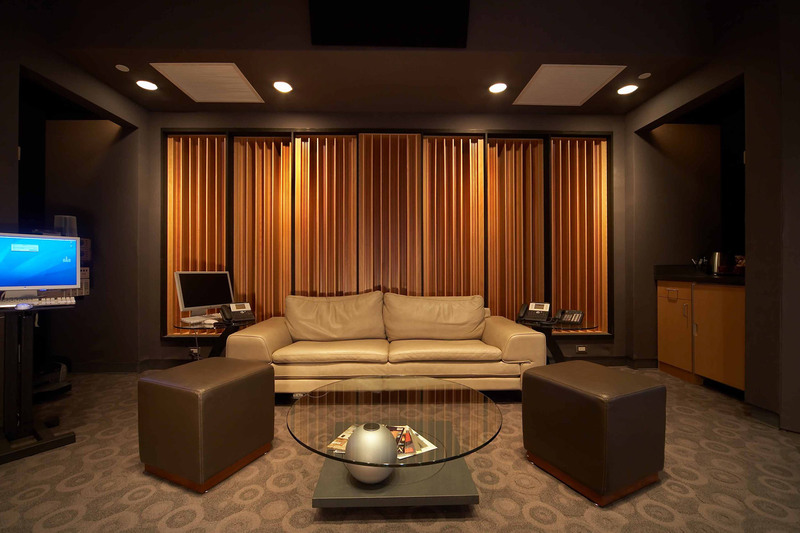 Featuring a “golden” sound that encourages artist-audience interaction, this 140-seat room recreates the vibe of NY’s classic small clubs. 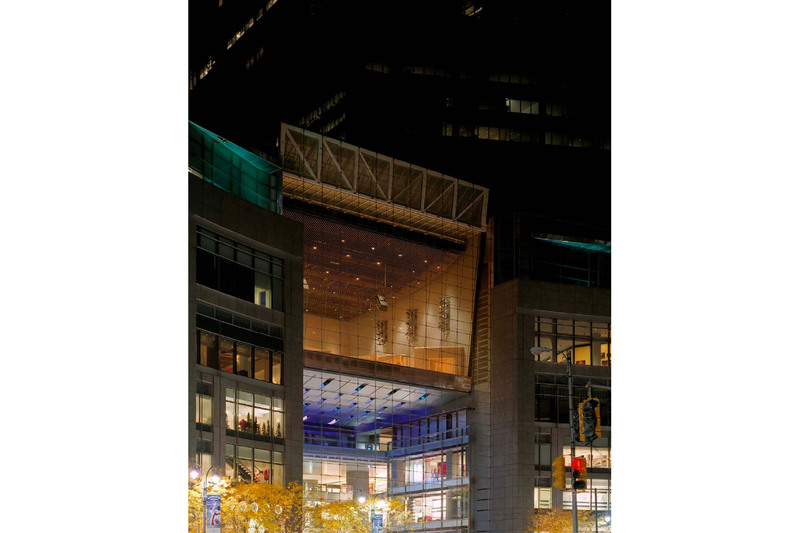 Dark and romantic, it is graced by pristine acoustics and, a compelling city view from large windows overlooking Columbus circle and Central Park.